The high-tech formula delivers intense hydration to various levels of the skin, allowing for gradual absorption and long-term replenishment, for a visibly plumped, supple complexion. This light-textured liquid-gel gives skin a burst of luscious moisture, while softening the appearance of fine lines and wrinkles. 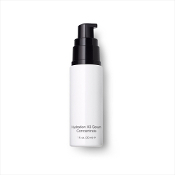 How To Use: Use after cleansing and before moisturizing, to create a moisture “lock” for longer-lasting hydration.